Universally hailed as the Queen of Soul, the late Aretha Franklin is one of music’s most beloved icons. 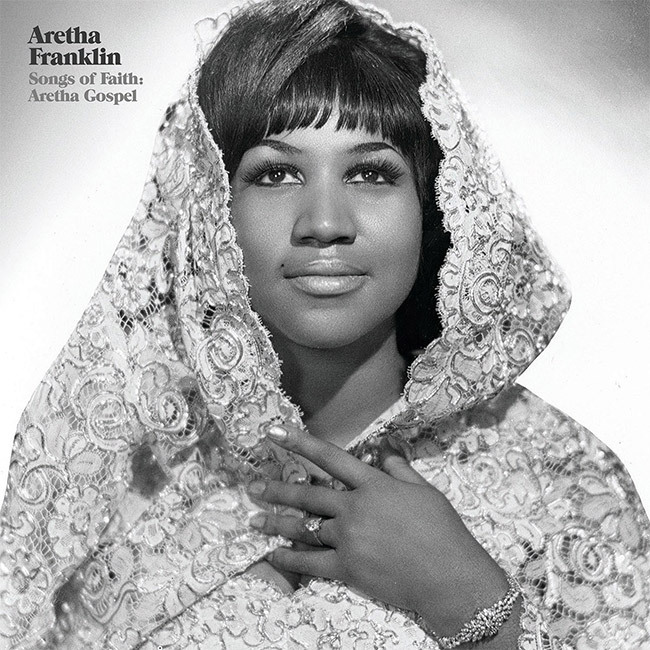 In celebration of Franklin’s timeless, brilliant legacy, Geffen/UMe has restored her earliest recordings, collectively known as the album Songs Of Faith: Aretha Gospel, for worldwide black vinyl LP, limited edition white vinyl LP, and digital reissue on March 22nd, just ahead of her 77th birthday on March 25th. Recorded live in 1956 at Detroit’s New Bethel Baptist Church when Franklin was just 14 years old, the album showcases her prodigiously powerful, other-worldly renditions of gospel standards. In 1956, when the album’s tracks were recorded at New Bethel Baptist Church, Aretha Franklin was a 14-year-old gospel singing sensation. She performed, accompanying herself on piano, as the opening act for her celebrated father, Rev. C. L. Franklin, whose recorded sermons were million-sellers. Franklin’s performances were first issued as singles in the 1950s, followed by LP releases by Chess/Checker.